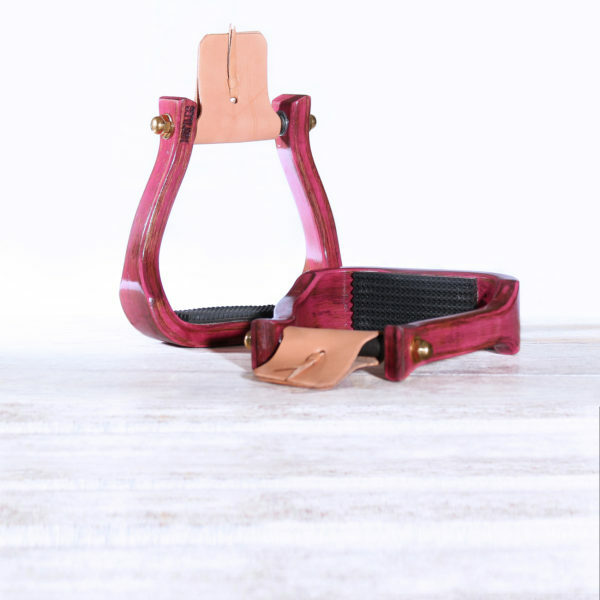 Our Nettles Barrel Racing Stirrup will make the perfect companion to your saddle. Besides being as comfortable as your favorite pair of boots, the stirrup’s wide middle and cut away sides gives that racer excellent in and out access. A slightly shorter pin-to-tread length places the stirrup’s throat closer to the ankle for less shin pressure while those six wooden laminates add extra strength. And treads? 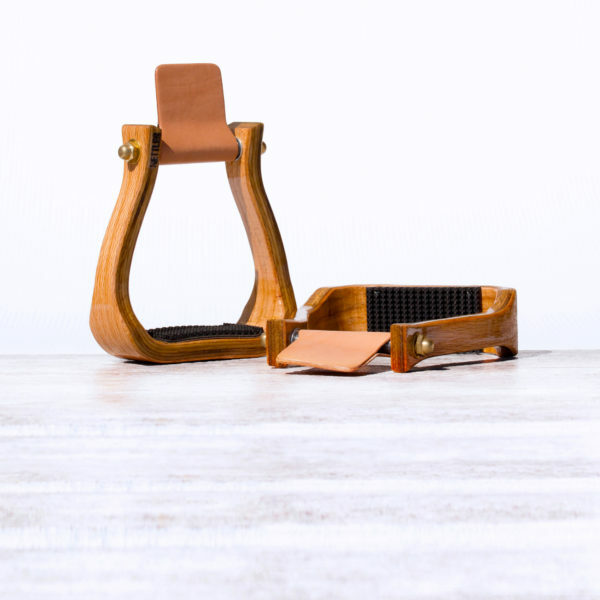 The Nettles Barrel Racer offers the leather tread and a non-skid gripper tread. 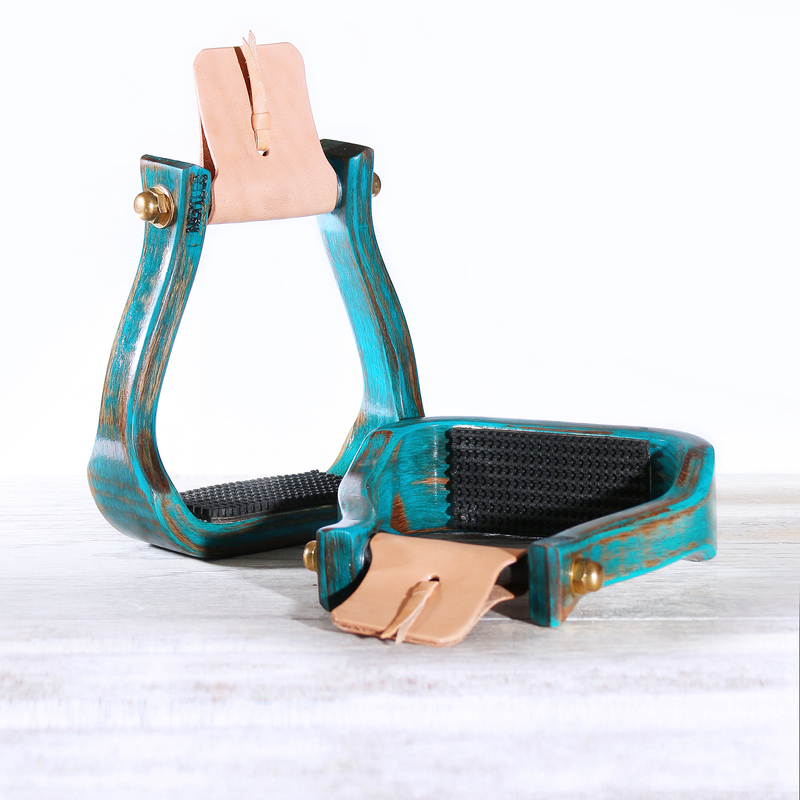 Our Nettles Barrel Racing Stirrup will make the perfect companion to your saddle. Besides being as comfortable as your favorite pair of boots, the stirrup’s wide middle and cut away sides gives that racer excellent in and out access. A slightly shorter pin-to-tread length places the stirrup’s throat closer to the ankle for less shin pressure while those six wooden laminates add extra strength. 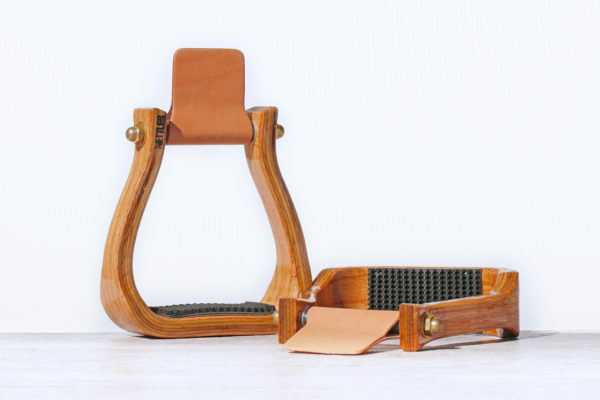 Because looking good is never out of style it’s just one more reason why Nettles Stirrups will make a great companion to your saddle. They are available in a western varnish or stain finish or for those who like a little bling and color coordination, our newly distressed colored Nettles Barrel Racers fit that bill. The Nettles Barrel Racer, guaranteed to be a good fit with your saddles! Available in regular and petite sizes and 1.5, 2 & 3-inch tread widths. Please check here for our finishing options!